Holy Bull's original owner, Rachel Carpenter, bequeathed all of her horses to Jimmy Croll who was the owner of record for Holy Bull's first start in 1993. He won all four races as a two-year-old, including the G1 Futurity Stakes at Belmont Park over eventual Champion two-year-old Dehere. 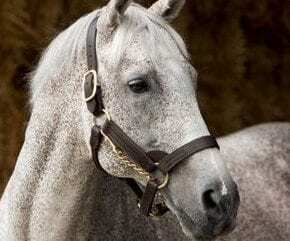 At three, he won five G1 events – the Travers Stakes, Woodward Stakes, Met Mile, Haskell Invitational and Florida Derby – and was voted the best three-year-old of that year and was also named Horse of the Year. In his eight wins during that 3YO season, Holy Bull's average Beyer figure was over 115. He retired with an overall record of 13 wins from 16 starts and earnings of $2,481,760 and was inducted into the Hall of Fame in 2001. At stud, his six individual G1 winners include Kentucky Derby winner Giacomo, champion and Breeders Cup Juvenile winner Macho Uno, now a successful sire, in addition to Flashy Bull. Ironically, it was Holy Bull's jockey Mike Smith that guided Giacomo to victory. Holy Bull's average earnings per starter remains at $65,000, while his career statistics show a 74 per cent lifetime winners to starters ratio. Holy Bull has made a major impact through his daughters, who have produced over 50 Stakes winners including the likes of unbeaten G1 winner Caravaggio, Judy The Beauty, Munnings, and Cairo Prince. This entry was posted in Bloodstock, NL Article and tagged darley, darley at jonabell, Giacomo, holy bull, Horse Racing, jonabell farm, thoroughbred by Press Release. Bookmark the permalink.